Apartment in Palermo Soho, Buenos Aires - Orange Loft ! 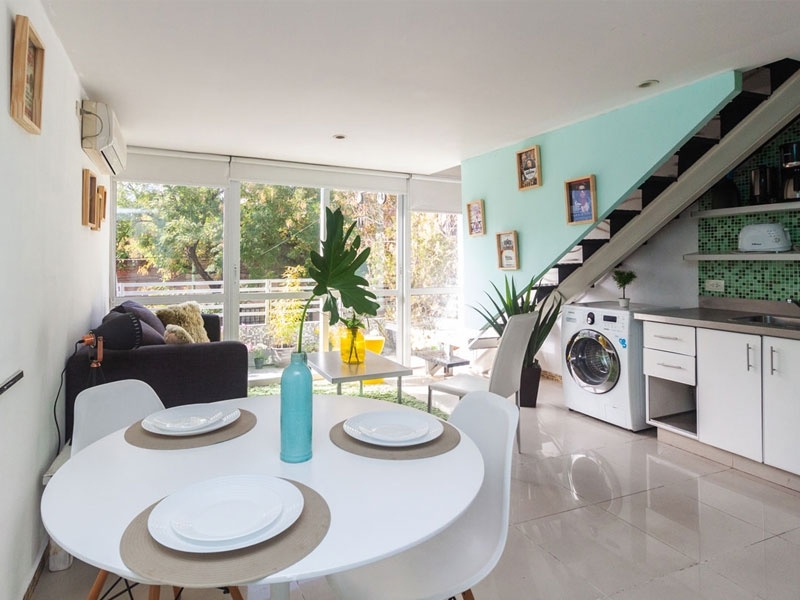 Chic three storey one bedroom apartment with balcony and private terrace in the heart of Palermo Soho – Let your City Break begin! This three storey loft is both tasteful and contemporary, a perfect mixture of textures and colors. The open plan kitchen stands out with its shaded green tiles. The living room is furnished in a retro style and features a jazzy orange cabinet, which gives the apartment its name. 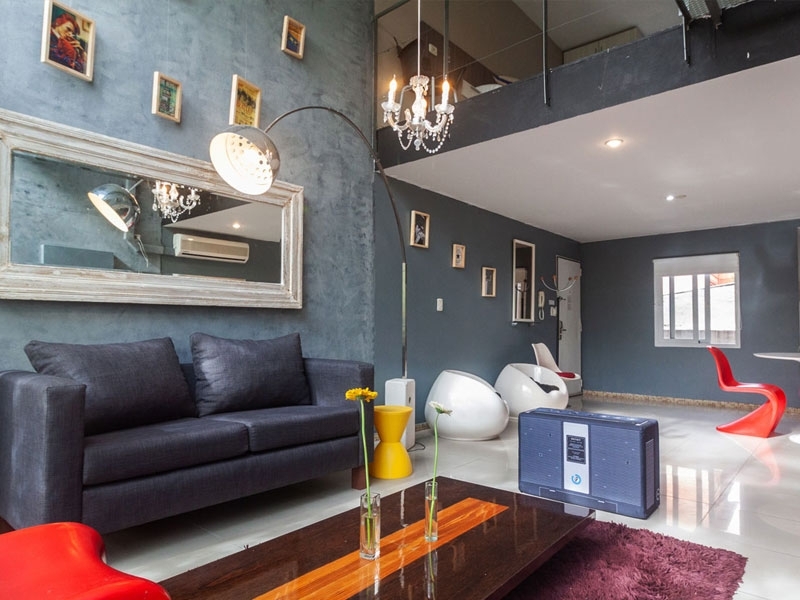 This apartment for rent in Buenos Aires is light, bright and has a great feel about it. The master bedroom is located on the second floor. The comfortable king sized bed is framed by a wooden headboard and patterned wallpaper, with enough closet space to satisfy almost any traveller! Nestled in the corner of the room is a contemporary lounger, a great place to cool down after a relaxing bath. Last, but by no means least, the terrace, a great space to spend a summer evening enjoying a good glass of Malbec while contemplating what to do tomorrow! This apartment is set in the same building as Camel, Blue, Violet, White and Red Lofts, so it is also ideal for a group of friends or work colleagues looking to share a vacation or work assignment while still having your own privacy and space – A great alternative to a hotel room!